Come visit us in Troy! 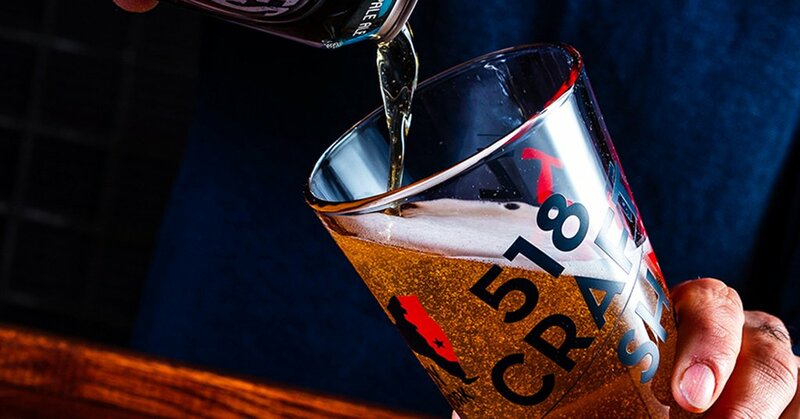 518 Craft proudly serves a great selection of New York crafted beer, wine, spirits and cider. As an official Shmaltz Brewing Company tasting room, we’ll have the freshest beers from all the Shmaltz brands including 518 Craft, Alphabet City Brewing Company and Star Trek. Check us out on facebook www.facebook.com/518craft for special events, beer launch parties and all the latest news from 518 Craft. Visit the Shmaltz Shop directly next door for fresh, local beer to go! We carry all the Shmaltz brands (including a bunch of rare, vintage goodies), as well as delicious, local treats from our brewing friends in the capital region and New York State. Get over those hump day blues with a little dancing, fantastic friends and delicious brews and cocktails. Learn a little #eastcoastswing and #lindyhop from Jason Fenton, all starting at 8pm! Just Run. Then Drink Beer! Join us for a 5K run that starts and ends at 518 Craft. After the run, come in and earn your reward: half price beer for all runners. Book your Private Party with us! Are you planning a corporate function, fundraiser, birthday party, anniversary, bar mitzvah, briss, bachelor party or wedding? 518 Craft is a warm, festive environment that can be customized for any event. Bring your own entertainment and food, or let us help you find a caterer to suit your needs. We will provide plenty of delicious beers, cocktails, wine and cider and entertain your tribe. For Private Party Pricing and space availability contact our bar manager Steven Schuff steven@shmaltzbrewing.com to book your party today! Jewbelation 22 – 22nd Anniversary Strong Ale brewed with 11 malts, 11 hops. 11% alc.